Further to recent press reports of the threat to jobs posed by automation, we consider the potential impact of a new wave of automation technologies. As UK-based lawyers, we don’t typically begin articles by quoting former Greek finance ministers but, if you will allow us: "Had history been democratic in its ways, there would have been no farming and no industrial revolution. Both leaps into the future were occasioned by unbearably painful crises that made most people wish they could recoil into the past." 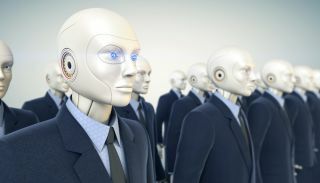 On the face of it, recent media reports that 30 per cent of the UK job market will be lost to "robots" or "machines" by 2030 suggest our economy, and by extension a number of "us", stand(s) on the cusp of just such a painful crisis. The impending revolution, the so-called Fourth Industrial Revolution spoken of much in recent times, has been characterised by Klaus Schwab, Founder and Executive Chairman of the World Economic Forum as, "a range of new technologies that are fusing the physical, digital and biological worlds, impacting all disciplines, economies and industries, and even challenging ideas about what it means to be human." If such a deep impact is truly imminent then perhaps "industrial revolution" is even too narrow a term? In these 1,000 or so words, we don't have the scope to discuss what it means to be human (we would need, probably, at least 1,500 words for that) but we can look at the report which prompted the media stories and consider the possible impact on our own profession. The report in question is the March 2017 UK Economic Outlook published by PWC. The headline-grabber, is the suggestion that up to 30 per cent of UK jobs could potentially be at high risk of automation by the early 2030s (note the report compares other economies – the UK labour market is considered more prone to automation than the Japanese but less so than the US or German markets with the range of proportion of job losses between 21 per cent and 38 per cent). "High risk" is defined as an expected probability of 70 per cent or more. You don't need to be a lawyer to notice the other caveats, of course: "up to" and "potentially", because we don't know exactly how far predicted advances in AI, machine learning and robotics will go, or how quickly, or whether organisational inertia, fear of first adoption, regulatory or fiscal intervention, ethical concerns, to give some examples, may slow take-up. In general, if a task can be automated to a sufficiently proven success level and the automation technology is more economic than using a human, then on a basis of pure economic analysis we would expect a big uptake of such technologies, and we are starting to see this emerge in practice already. The economics of automation, as with many technologies, may also improve with scale; a Moore's Law for AI, perhaps. In our own industry, we are seeing increased use of machine learning in research tools and of natural language processing in bulk document review. Pioneer businesses have been developing "smart contracts" – coded contracts, linked to other systems or IoT devices by APIs, that automatically allocate commercial or legal consequences based on the data received. Blockchain as a method of transaction execution continues to be a noisy disruptor, particular in the financial world, but potentially it has a wider contractual purview. We haven't seen any "robot lawyers" in our offices yet and we imagine (and hope) it will be quite a long-time, if ever, before we are completely replaced. But if we think these technologies and innovative uses of existing ideas, and their increasingly sophisticated progeny, will have no or minimal impact on the way we deliver, and the way clients value, certain elements of legal process, some of which may have been traditionally viewed as quite lucrative, then we will be deluding ourselves. We can disclose a secret here: lawyers don't (usually) actually enjoy the process of wading through hundreds or even thousands of documents to produce reports on title, due diligence reports, disclosure lists etc. What we tend to enjoy is a feeling of genuine partnership with our clients, of adding value and insight, of helping to piece the parts of the puzzle together and being a part of a strategic vision; we like varied intellectual challenges and we enjoy a sense of common purpose and shared achievement when clients' success stories are playing out. You could say that what we really like are the parts of our job which are most "human". Perhaps the future for us as a profession, and maybe also for other analogous industries, is an increased focus on those aspects of our working lives which are more "human" and can't, or seem unlikely (at least in the short term) to be capable of automation. Some jobs may be capable of full automation but in many industries what we are really looking at is the fragmentation of end-to-end processes through disruptive technologies. A division of intellectual labour. Artificial Intelligence, perhaps, has the potential to liberate workers from the mundane and time-consuming; in some fields, to de-commoditise labour. Fundamentally, we like and recognise human service. We've probably all tipped a waiter a bit more than we might, not just because they did the job well but because we liked them. They were "nice" and it added to the enjoyment of our experience. If technology enables us to focus on the areas where our training and skill is most valuable to our clients it should be a "win / win".